Buffalo Style Meatballs make for a great appetizer or even a dinner for those who love spicy wings. 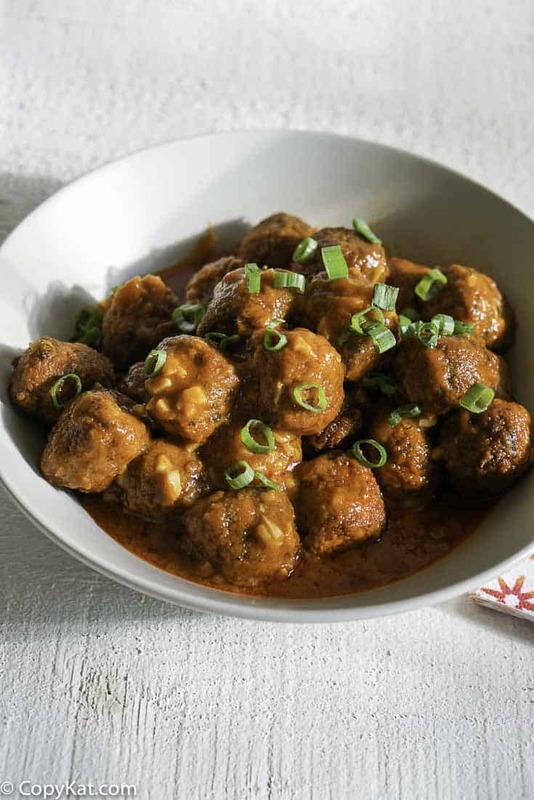 These take no time to make, and soon you can enjoy an amazing bowl of meatballs. Do you love Buffalo Hot Wings? If you do, I bet you will love buffalo style meatballs. Maybe you have seen these before, have you seen pre-packaged cooked meatballs in your grocery store? I have seen them a ton at Kroger, or even Costco. I picked some up for the first time recently. I was in a jam, and I needed to prepare a super quick dinner. They got me out of a bind, and then I needed a super quick appetizer and this game to mind. 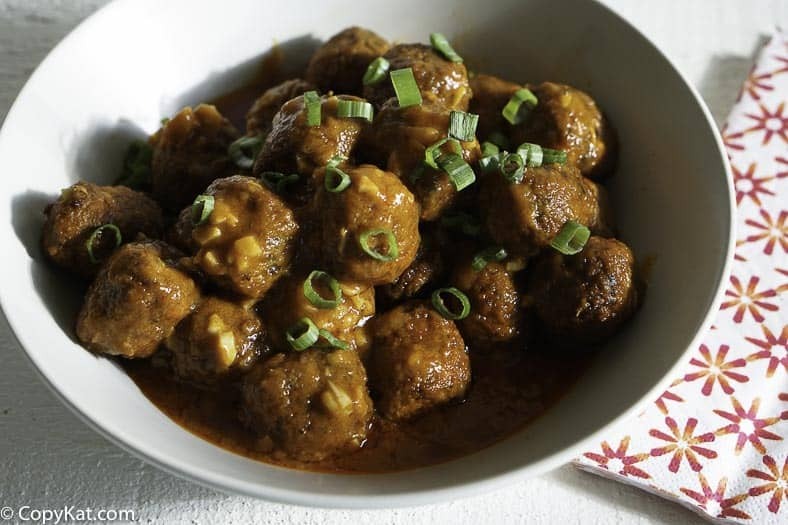 While I love to make homemade meatballs, we all know that they taste better, sometimes you need to reach for something that will make your dinner go easier. I really liked the prepared meatballs I purchased at Costco. Armed with a package of these, and some homemade buffalo sauce I was able to go to an evening of bunco without going empty-handed. For this recipe, I used one of my favorite hot sauces. My favorite hot sauce is Frank’s Red Hot Sauce, I love the balance of the sauce. I find that Frank’s Red Hot sauce heat but the heat is balanced with lots of good flavors. To this sauce, I add butter, fresh minced garlic, and a touch of Worcestershire sauce. I hope you try this easy appetizer recipe. I garnished my meatballs with some slivers of sliced green onions, you could garnish this with blue cheese crumbles. 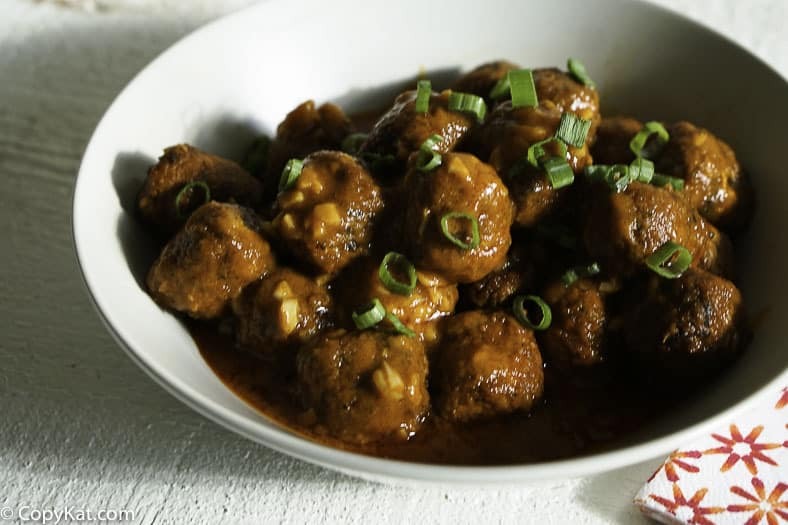 These buffalo style meatballs are perfect as they have just the right amount of spice, and they are perfect for the keto diet. In a large saucepan, add the butter and add minced garlic. Heat over medium heat until the garlic has become fragrant. Add Frank's Red Hot sauce and Worchestershire sauce. Stir until the sauce has become uniform. Add the meatballs to the saucepan. Place a lid on the saucepan, and turn the heat to low, and cook until the meatballs are heated through. I love it to be as spicy as possible. Spicy lover here. You can always add some cayenne pepper to this! Woow… Count me in. I’m definitely giving it a try soon. Thanks for sharing. 2 drops in a 1/2 gallon of soup? That’s like a bebe roiling around the inside of a boxcar.